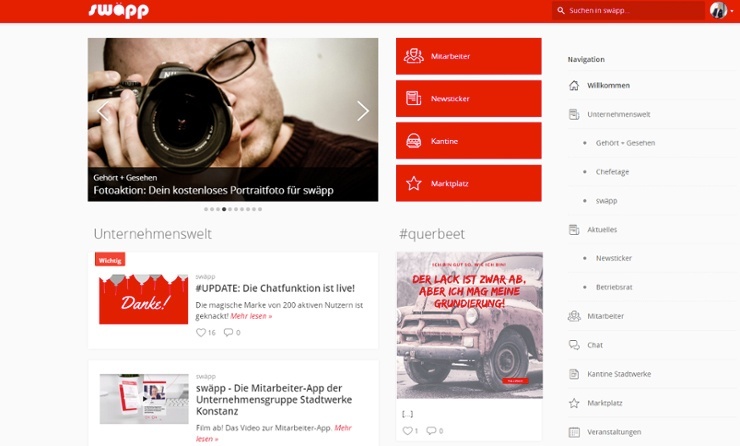 “We had our intranet and a very nice employee newspaper, but neither were mobile nor interactive," reports Dominik Birk, Head of Marketing and Communications at Stadtwerke Konstanz. "It became clear pretty quickly that in the future, effective communication would happen via an app." An employee survey conducted in 2016 revealed that something needed to be done to improve internal communications. Too many workers were being excluded from the process. The survey highlighted problems with the outdated intranet and the internal newsletter, and justified management’s decision to take a new approach to communications. Mr. Birk confirmed that the company’s digital workplace strategy also had a decisive impact on the move: "The importance of this measure speaks for itself, and it allowed us to quickly reach an agreement with management. We were then able to look for a solution that could kill two birds with one stone and allow us get started right away. That's how we found Staffbase." The app was first tested in the marketing, press, and public relations departments. This circle of users was soon expanded to include the management board, executives, and ultimately a number of employees chosen from various work areas. A final test group of about fifty people gave the company an excellent overview of what their workers wanted and needed from the app. So why is the app called swäpp? “We wanted a name that reflects us and our company, but also our region," says Mr. Birk. “SW” is an abbreviation of Stadtwerke combined with the word “app,” albeit in a somewhat local accent. The similarity with the English word swap, as in "to swap ideas," was another obvious advantage. It suggests the purpose of the app: a lively exchange between employees is meant to take place here. And using “swäpp” as a verb stimulates additional action: “Swäpp with us!" sounds inviting—it’s catchy and it creates a sense of community and engagement. 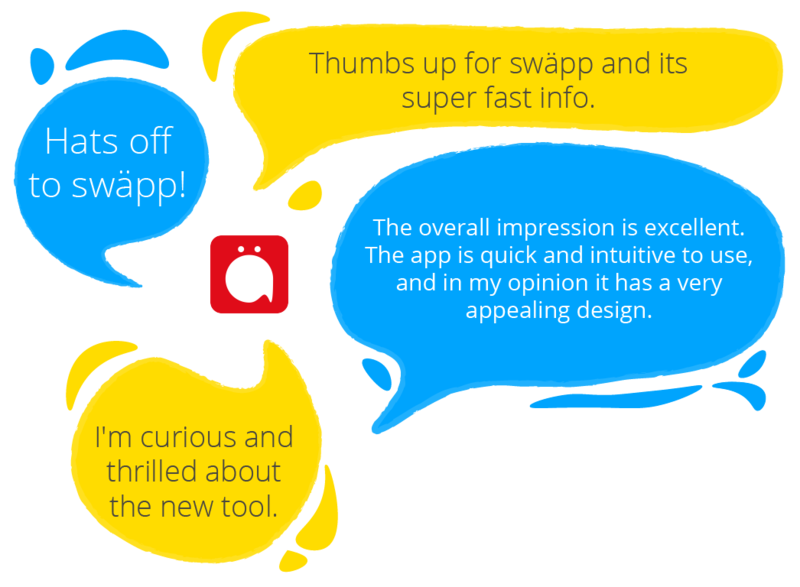 Swäpp came to App Stores in mid-September. The municipal utilities company used the industry's best practices for implementation with numerous marketing measures that supported the launch of the app. The team made announcements in the employee magazine and produced an animated video. In addition to the digital measures, individual invitations were sent to every employee. 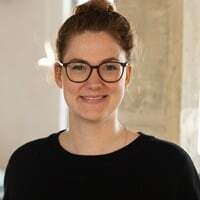 Melanie Straub, who together with Mr. Birk and a small team was responsible for the project, explains that this approach was intentional: "We wanted to approach our employees personally. More than any flyer could, this showed our appreciation on a completely different level." The company also invited all of their employees to a photo shoot. Says Ms. Straub, “People could use these professional portraits for personal purposes, and of course they could use them as profile pictures in the app." These innovative measures drove the success of the app: after only four days, more than 300 employees were registered! The app is just one part of the company's ongoing digitization program. While improved communication is the centerpiece, project management, data management, and HR applications are also being digitized. "The whole process is reflected by a total cultural change," concludes Mr. Birk. "The app is just the beginning!"